Three operators , unlock from which is made on this service Orange / Tmobile / EE, very popular in England and had previously been at a very high price. Currently the price for their unlocking a beating , so we offer to make your phone unlocked at a very attractive price. This unlock service network Orange/Tmobile/EE UK for IPhone 3G,3GS, 4,4s,5,5C,5S,6,6+,6S,6S+, SE,7,7+,8,8+,X,Xs, Xs max, Xr with all imeis. O2&Tesco UK - cheap and fast unlock on our website! Best in internet! This unlock service network O2&Tesco UK for IPhone 4,4s,5,5C,5S,6,6+,6S,6S+, SE,7,7+,8,8+,X,Xs, Xs max, Xr If you don't know what network your phone is locked, do check with the help.. This unlock service network Vodafone UK for IPhone 3G,3GS, 4,4s,5,5C,5S,6,6+,6S,6S+, SE,7,7+,8,8+,X,Xs, Xs max, Xr If you don't know what network your phone is locked, do check with the help of this service - IPHONE CARRIER + SIM-LOCK STATUS If you 100% know w.. 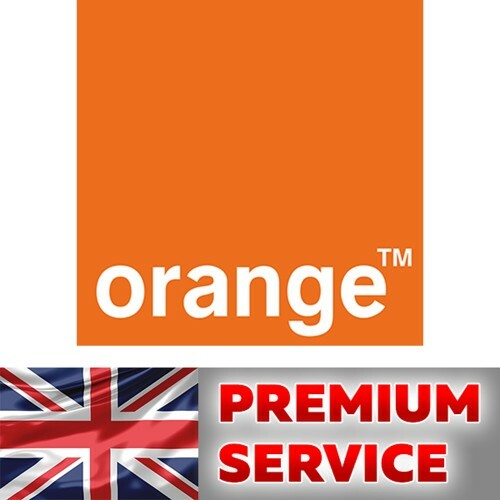 This unblock service network Orange/Tmobile/EE UK for IPhone 4,4s,5,5C,5S,6,6+,6S,6S+, SE,7,7+,8,8+,X,Xs, Xs max, Xr If you don't know what network your phone is locked, do check with the help of this service - IPHONE CARRIER + SIM-LOCK STATUS If you want..
O2&Tesco UK - cheap and fast unlock on our website! Best in internet! This unlock service network O2&Tesco UK for IPhone 3G,3GS, 4,4s,5,5C,5S,6,6+,6S,6S+, SE,7,7+,8,8+,X,Xs, Xs max, Xr with blacklisted imeis (Barred, Unpaid, Blacklist) support. If you..
Service does not unlock! It is intended only to clean / change the status of the Blacklist to Clean, for use Clean service to unlock. Not work in EE sim in UK. This service must be use for unlock your device. This service network Orange/Tmobile/EE UK for IPhone 3G,3..